I just did a quick inventory search near me and within 100 miles there are 7 Stingers in Southern California. Weirdly, Palm Springs Kia has 5 of them. Then theres 1 in the high desert and 1 in Alhambra. Palm Springs Kia has the priciest one and the cheapest. 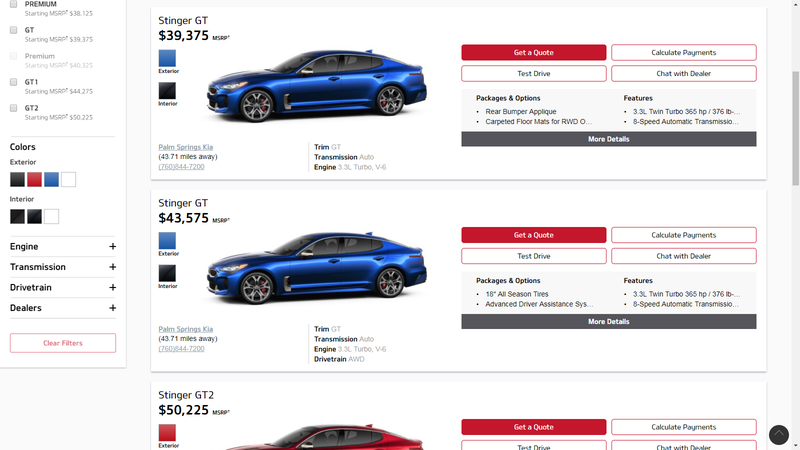 A GT2 for $50,225 and a base Stinger for $32,925.